While most schools have been busy building, Greater Atlanta Christian School expanded outside. The school’s $450,000 Environmental Center includes a greenhouse, chicken coop, turtle pond, fish hatchery, and gardens. Forget waste in the cafeteria; students bring their lunchroom leftovers to earthworms that turn over the soil. A University of Georgia–educated horticulturist will oversee the center and work with students. Although some schools are phasing out PE and recess, elementary students at GACS still have gym class daily. The school added a $550,000 playground with climbing towers, three-story slides, a zip line, a four-square gaming area, and swings. Today, toddlers are adept at using touchscreens before they start talking. 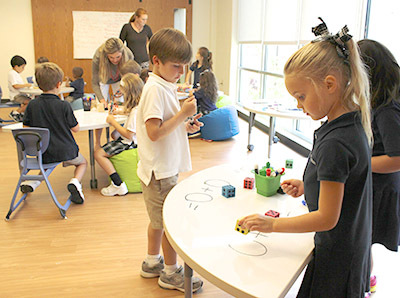 Applying those tech skills to learning is easy at the Trinity School thanks to its new “iHub.” In this specially designated space, students as young as three can try tools such as 3-D printers and pens. The goal is to offer hands-on exposure to STEM education, with an emphasis on engineering and robotics. Teachers use the iHub for class sessions, and students also can work there independently. Woodward Academy already claims a record: It has the largest private school student body within the continental U.S. The size of the enrollment is now matched with a massive new structure—the upper school humanities building, which opened on Woodward’s main campus in College Park this year. At 101,297 square feet, Jane Woodruff Hall includes a 150-seat lecture hall, counseling offices, and computer and world language labs. All classrooms have interactive SMART boards and both wireless and hard-wired Internet access. There are no more boring traditional classrooms at the lower school at Mount Vernon. Instead of neat rows of wooden desks facing a blackboard, the new $500,000 open-concept flex spaces offer common areas with versatility. Barn doors let teachers create bigger areas or smaller study spaces. There are colorful bins, chairs, tables, and fun “wiggle chairs” that move along with antsy children. Educators from dozens of schools around the world have come to see how this twenty-first-century learning community works. Fitting in seamlessly with the iconic Pace Academy “Castle,” the new Arthur M. Blank Family Upper School features plenty of stone, turrets, and Gothic architectural flourishes. But the interior of the 75,000-square-foot facility, which nearly doubles the space of the former upper school, contains plenty of high-tech features. In addition to classrooms and offices, the building houses science labs, private tutoring rooms, and a college counseling suite. The new facility was part of a $35 million fundraising campaign with more than 1,300 individual donations—including from the building’s namesake. 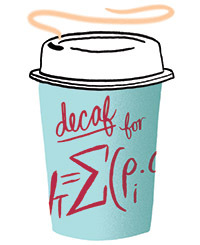 For enterprising students at the Galloway School, a campus coffee shop combines caffeine and crunching numbers. The Galloway Grounds coffee shop, in the lobby of the school’s Chaddick Center for the Arts, is a Starbucks-esque lab for the twelfth-grade economics class and will soon include a business marketing elective as well. Students create a business plan before opening and operating the shop (which, administrators are quick to point out, also sells non-caffeinated beverages). Proceeds will go to a nonprofit voted on by the students in the class. 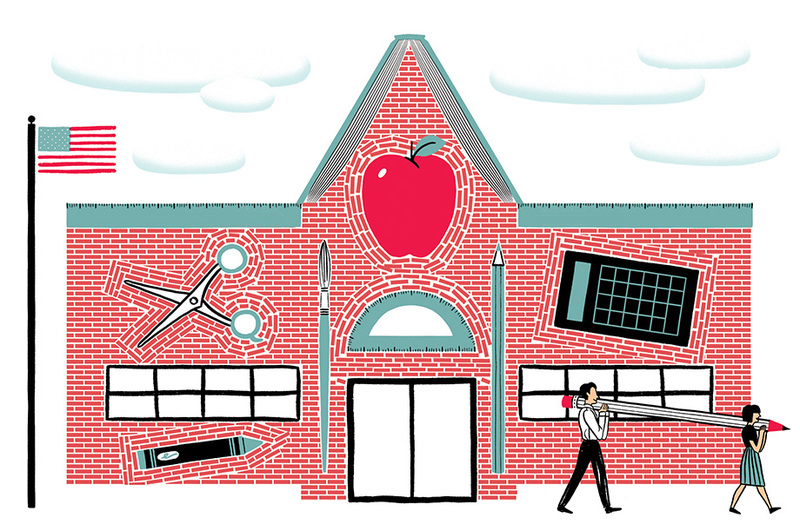 This article originally appeared in our 2014 Independent School Guide.